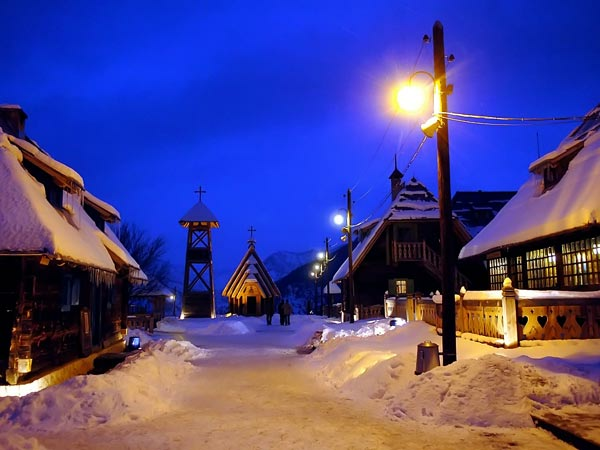 Mokra Gora is a valley in western Serbia, located between mountains Tara and Zlatibor. 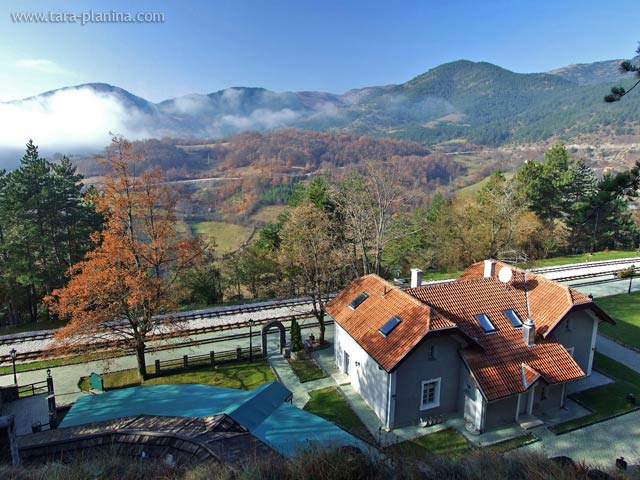 Steep relief with deeply carved valleys and gorges of the White and the Black Rzav and the Kamiška rivers, above which many peaks and passes rise, contribute to the beauty of the area. 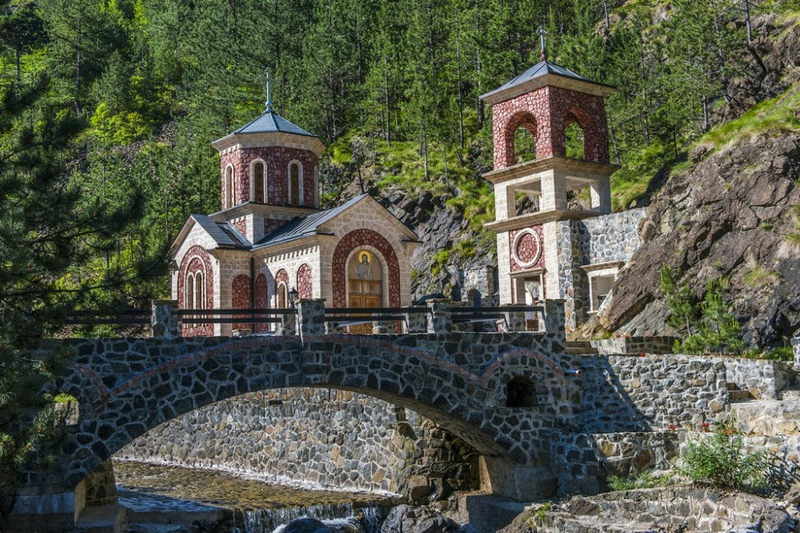 There is a number of mineral springs here, the most famous being “Bele vode” (Eng. White waters). 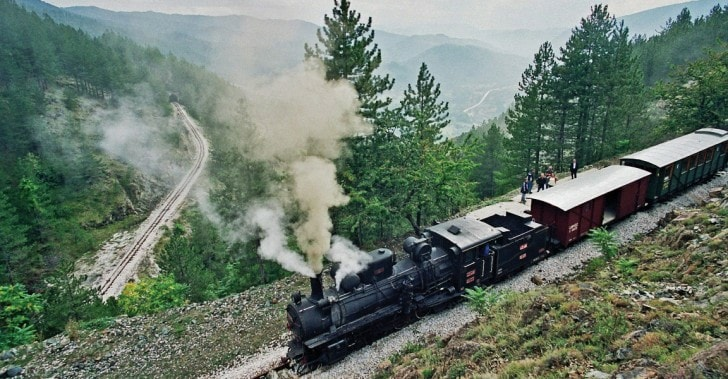 Nowadays, Mokra Gora is best known for “Šargan Eight”, a narrow-gauge, known for the exceptional technical solution which made possible to overcome large climbs on a short distance. 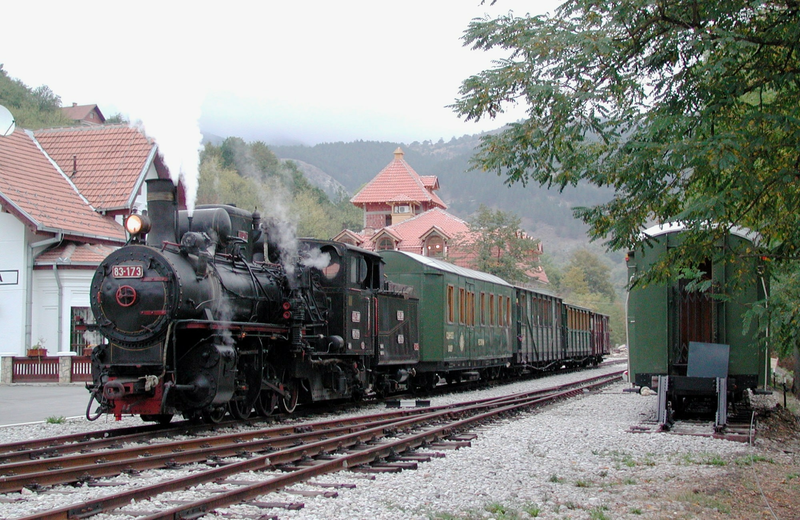 This is the only 760 mm wide narrow-gauge railway in Europe. 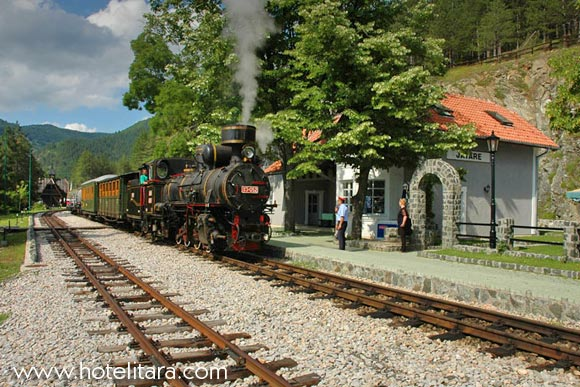 During the ride, there are breaks on the stations Golubići, Jatare, Šargan Vitasi and viewpoints Krst Osmice and Ludi Kamen. Along the railway, there are many exhibits of old locomotives and wagons protected as monuments of technical culture, what makes this a unique open-air museum. 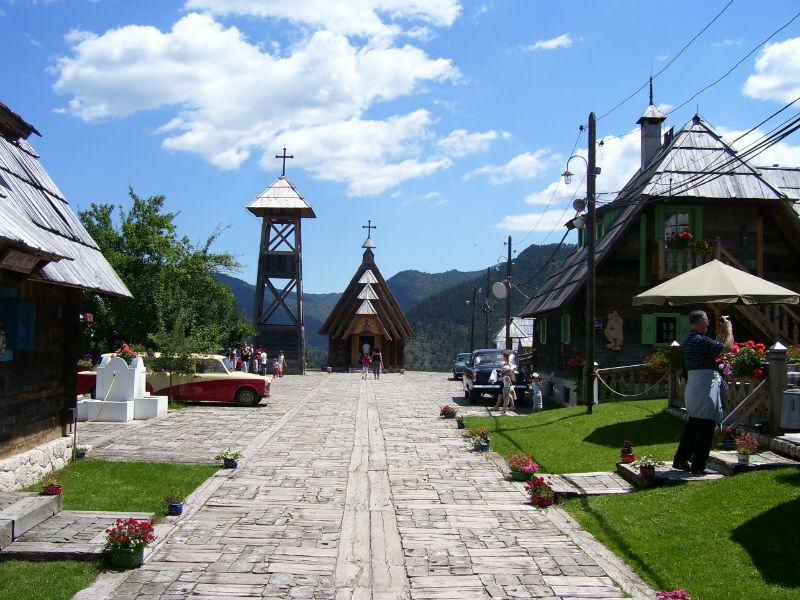 Also, a great attraction is ethno-village “Drvengrad” (Eng. 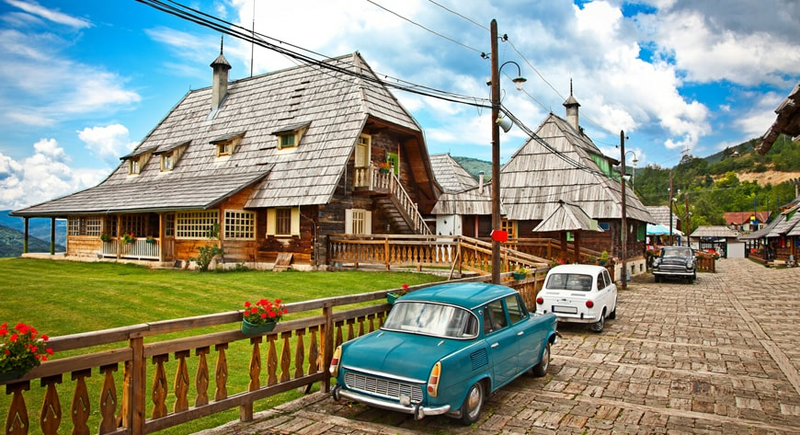 Wooden town), on the Mećavnik hill, that was the idea of our famous film director Emir Kusturica. 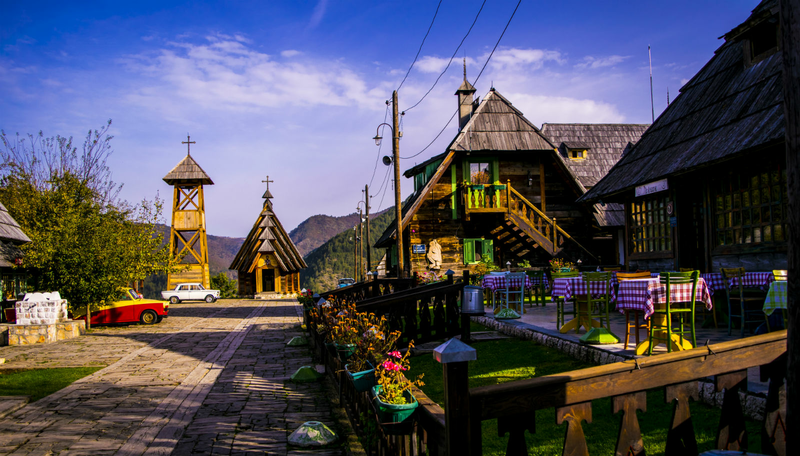 Authentic log cabins were transferred to a new location and used for the construction of the village. The oldest cabin is more than 90 years old. During the visit, the group would go to the cinema and watch Emir Kusturica’s short film. 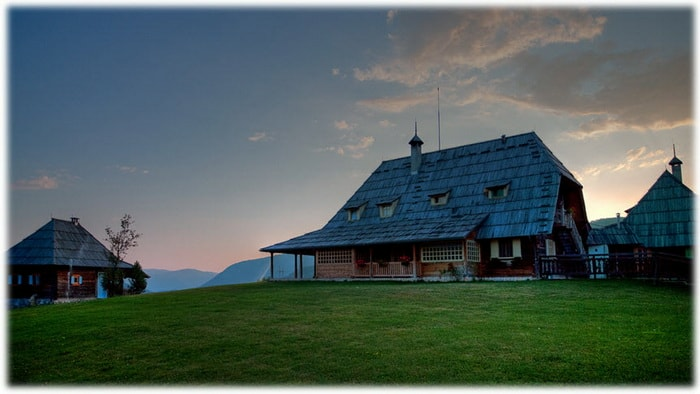 If one day is too short and you want to explore this part of Serbia more, take a look and choose one of our special promotional offers. As our guests, you'll receive 20% discount on all excursions that we organize. Driving by the Sharga Eight, which lasts 2 hours and 10 minutes. 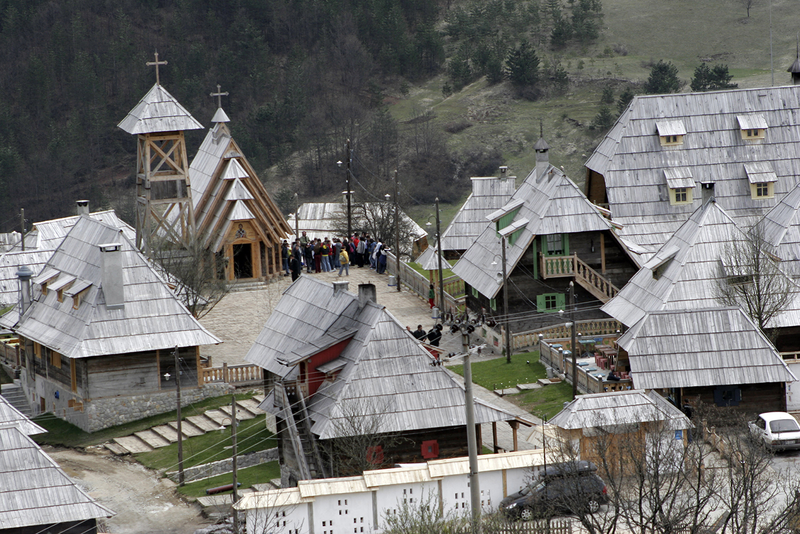 Visiting Camp Viljamovka in the village of Kremna . Return to Zlatibor around 16:30. Price per person 1100 rsd. The full payment (100%) at the time of booking.